Helen Pinnock is an education consultant who focuses on inclusive, participatory education in low and middle income countries. 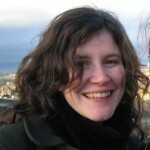 Helen spent nine years with Save the Children as an education adviser, working across Asia and Africa. During this time she produced several policy and practice guides on mother tongue based, multilingual education and inclusive education strategies. Helen’s recent work has produced research and guidance on language of instruction, inclusive teacher training, support systems for school management committees, and rights-based approaches for low-cost private schooling.